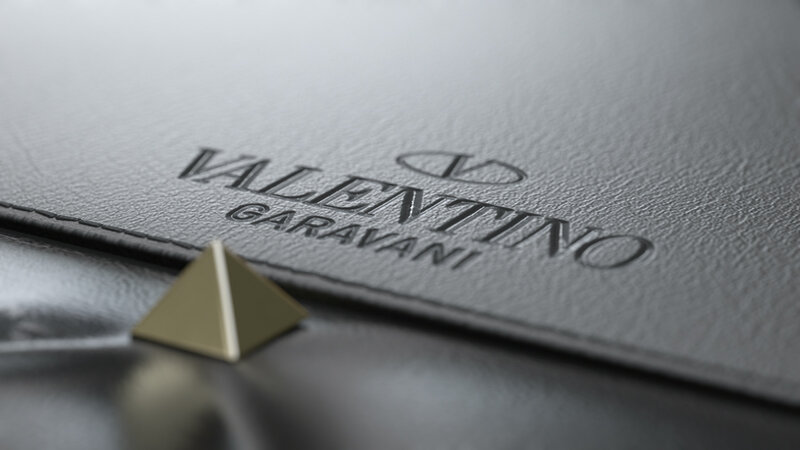 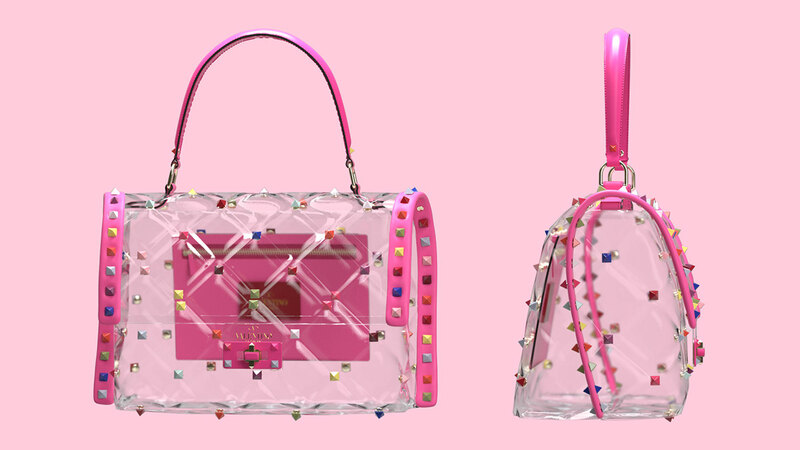 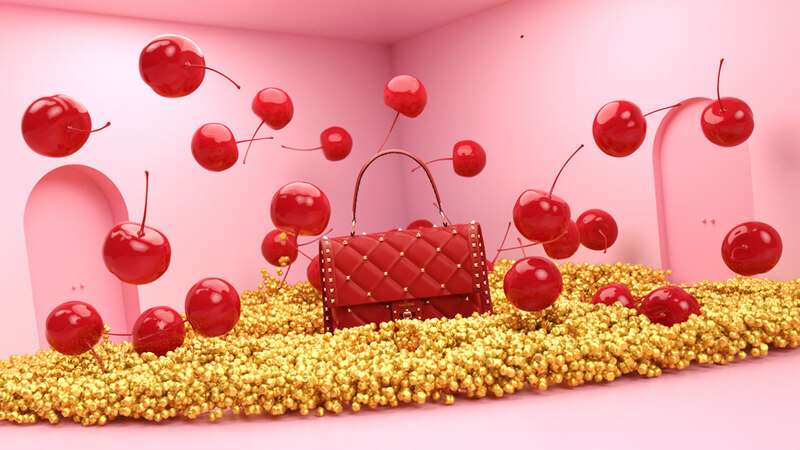 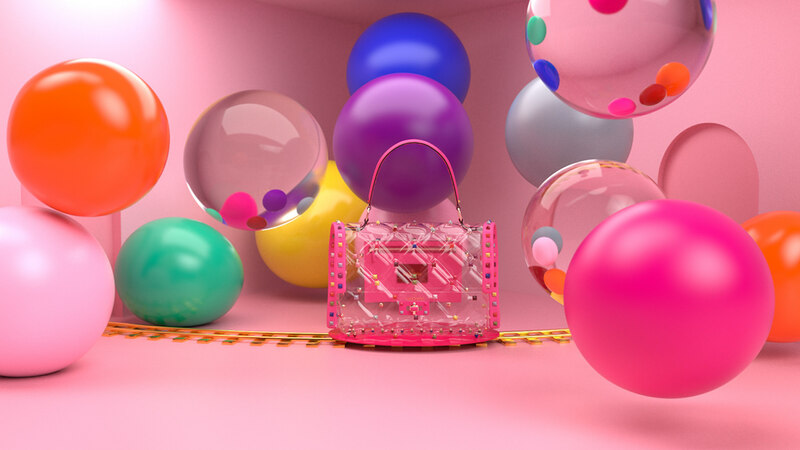 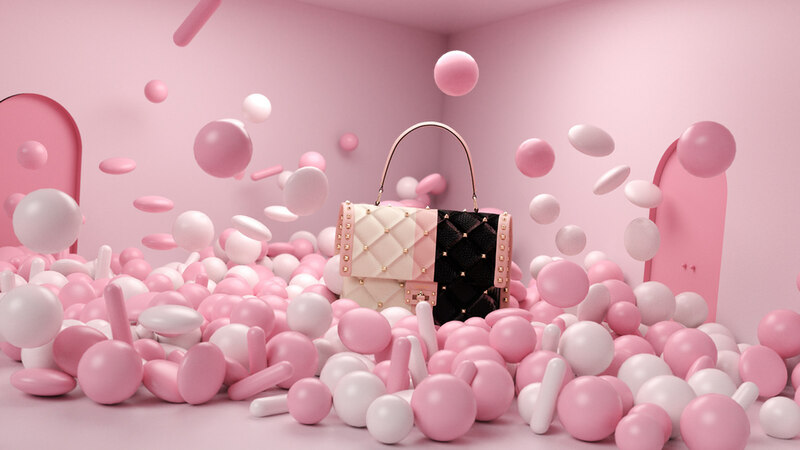 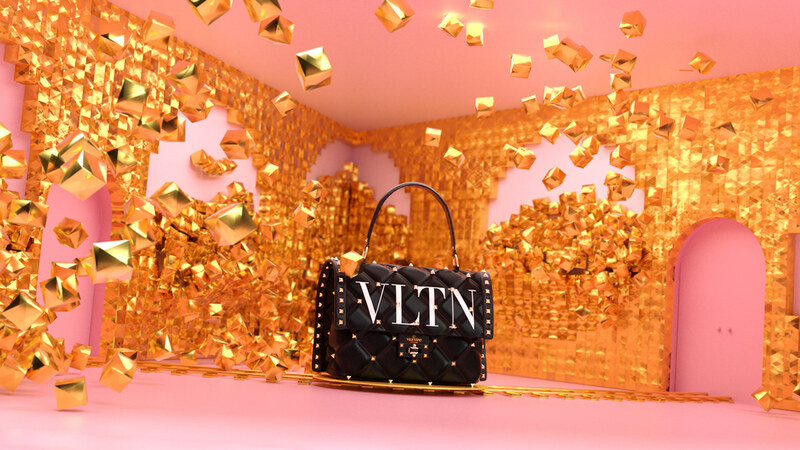 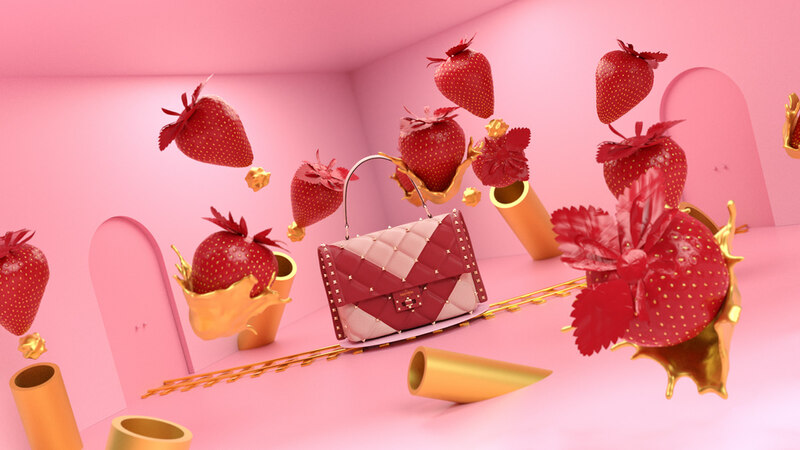 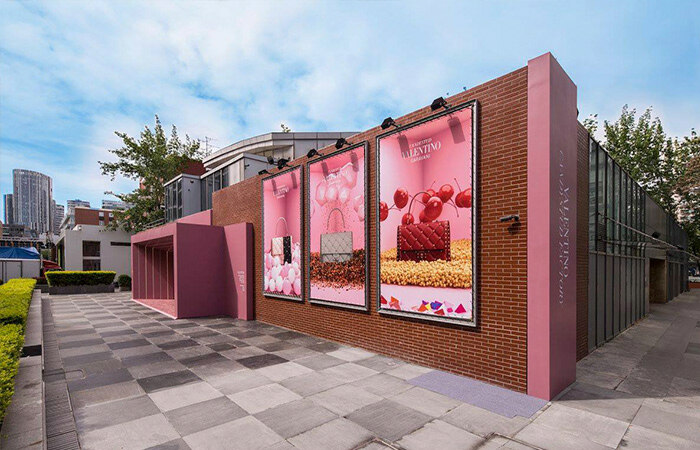 CG Spot and promotional banners created for Valentino Garavani's worldwide #CandyStudFactory campaign and Pop Up stores in Shanghai and Tokyo. 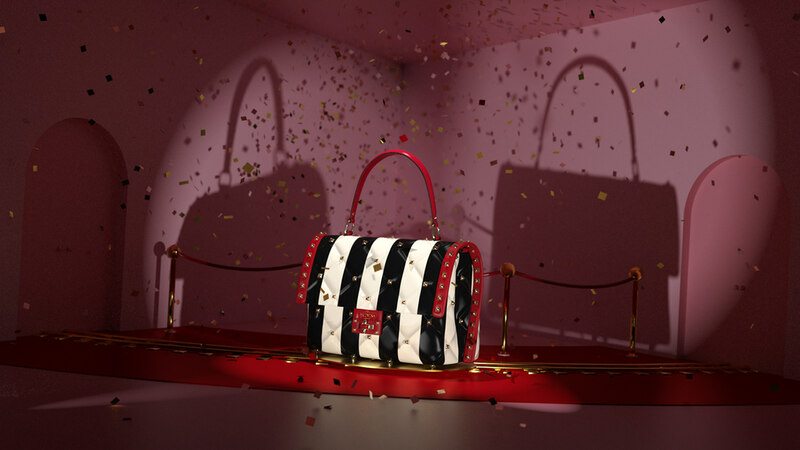 Inspired by Charlie and the chocolate factory, a seemingly real world hides a wonderful world of fantasy and colour. 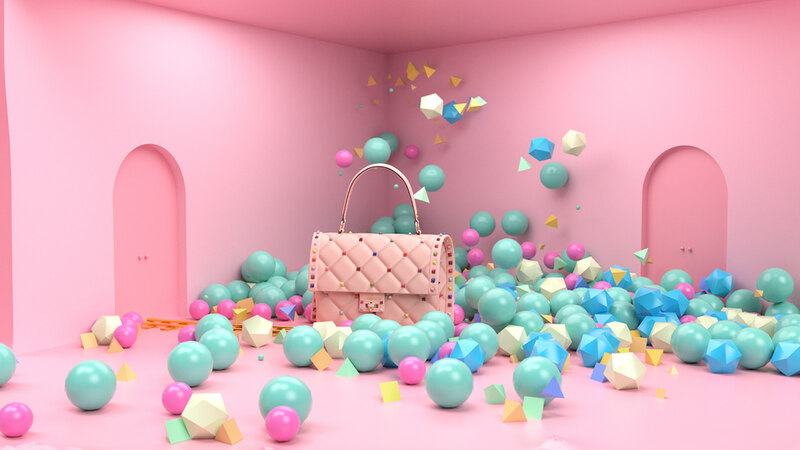 In a game of contrasts, the video starts going through the store, which represents the real world. 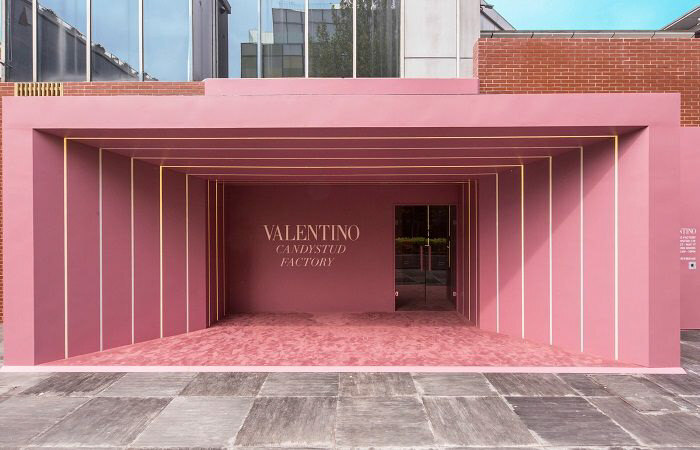 In this first part everything is pink, sober and has an elegant aesthetic. 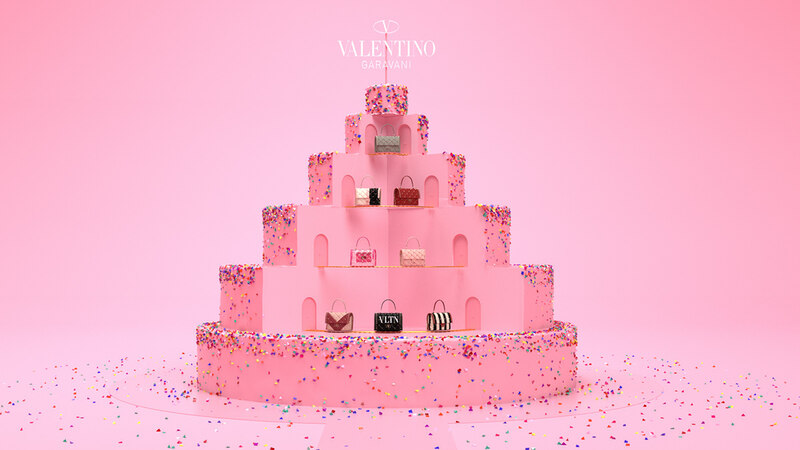 The second commence with a big cake, it´s a celebration, it´s the fantasy world. 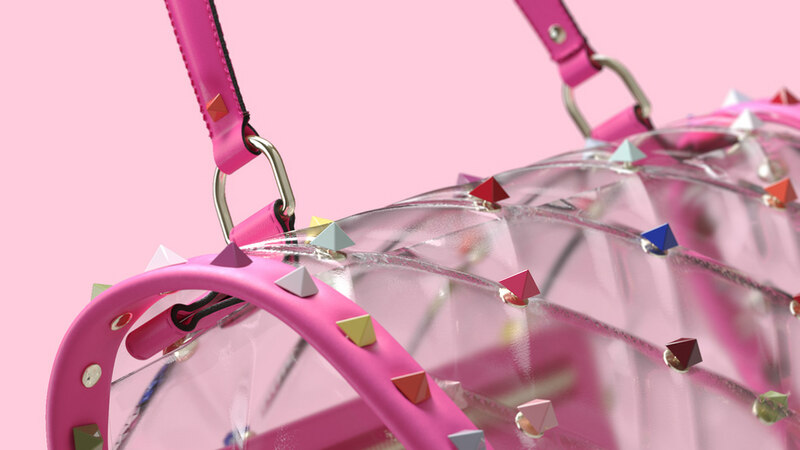 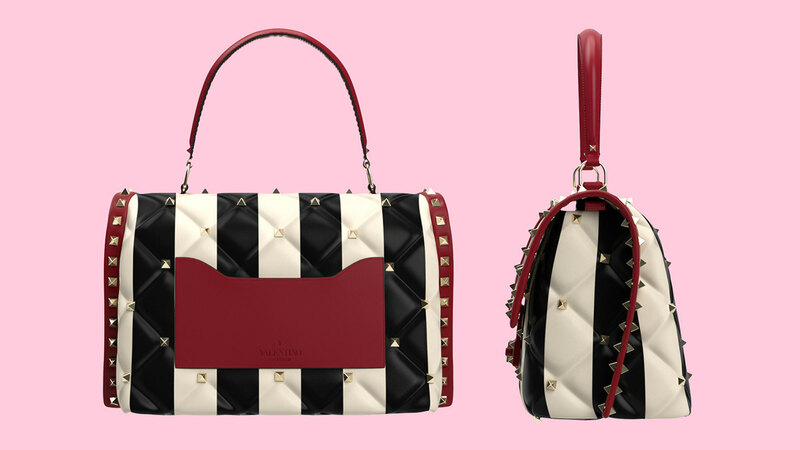 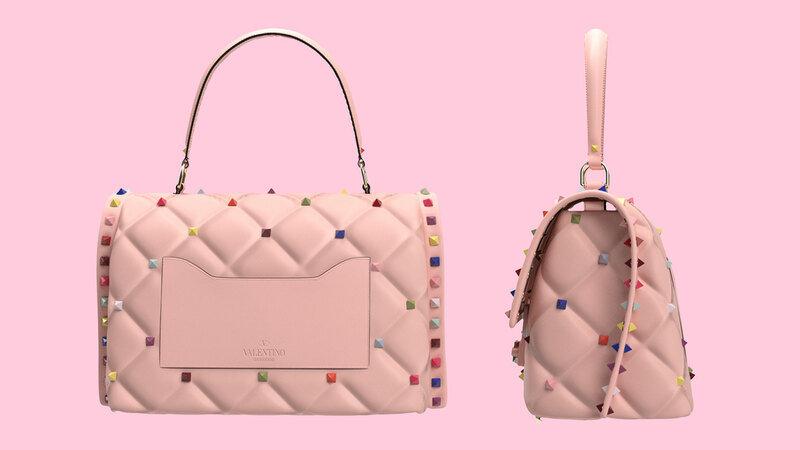 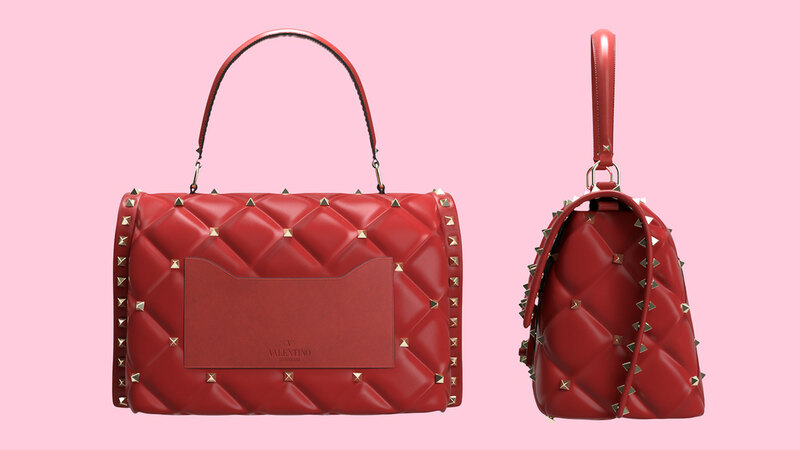 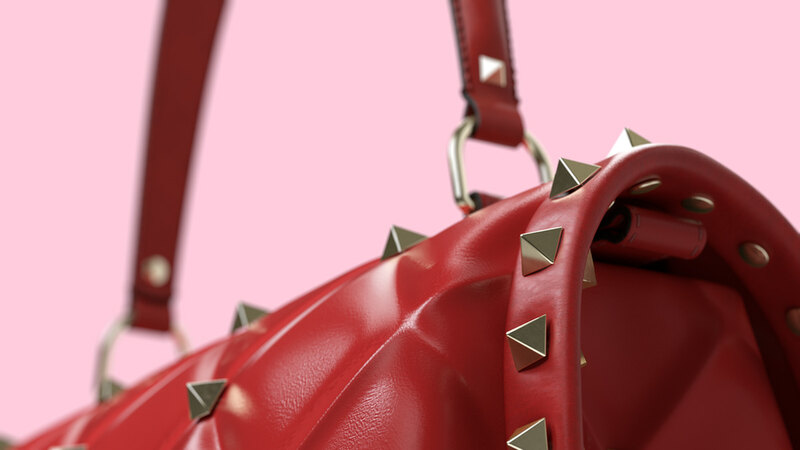 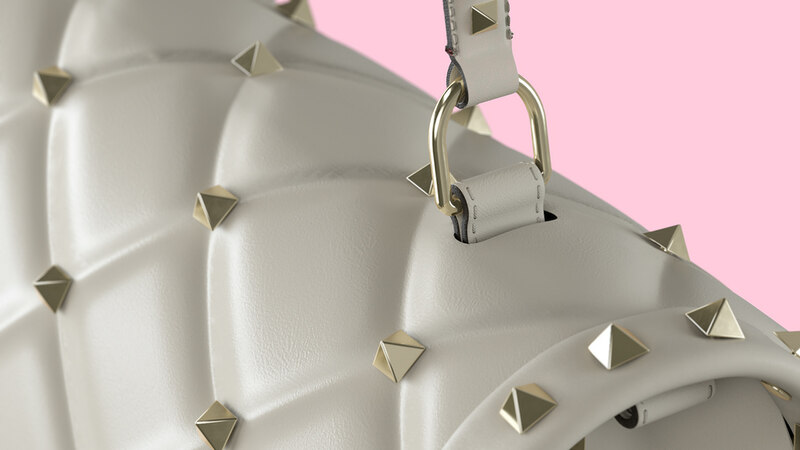 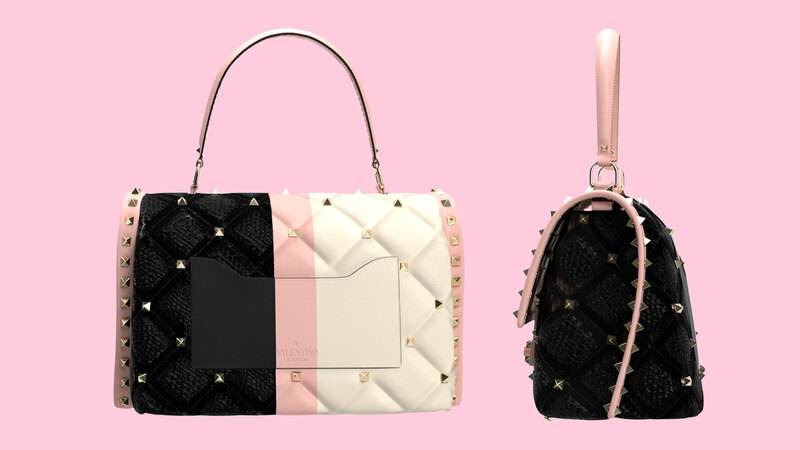 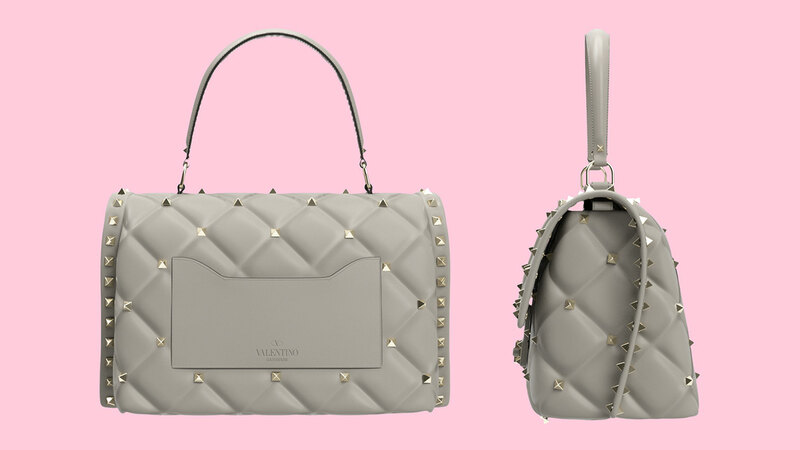 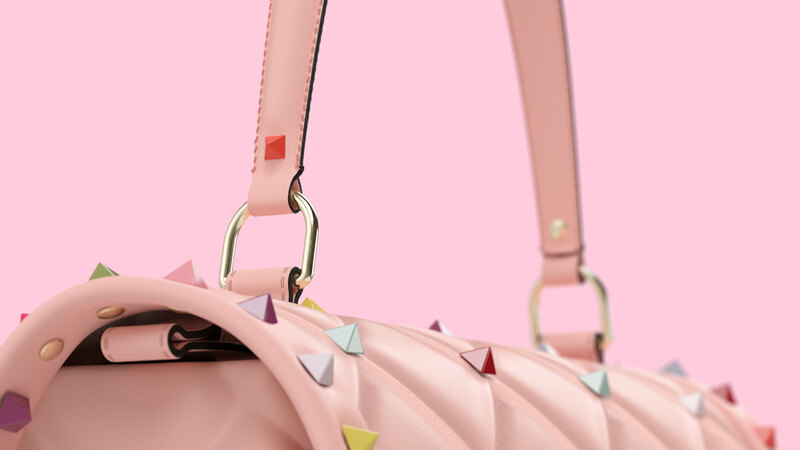 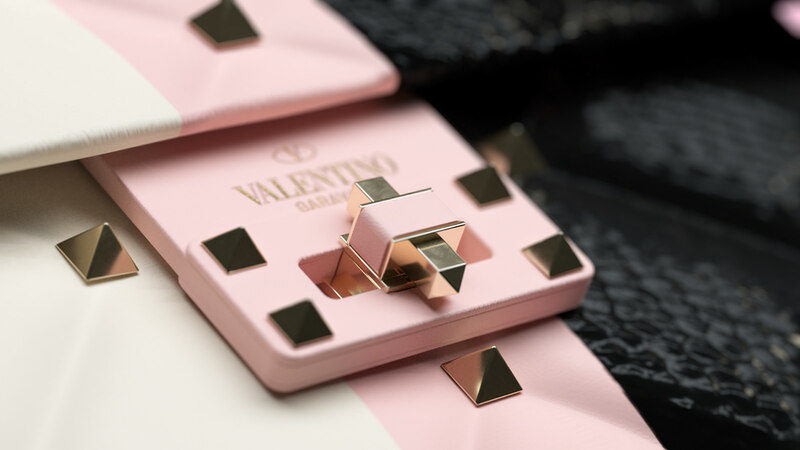 Inside the cake we discover the different Valentino bags through mesmerizing stories, one for every bag.